A livestream of a rotting McDonald’s hamburger sounded bad enough when we heard about it a few years back, but this latest one of a rancid fatberg definitely takes video streams to a whole new level of grossness. The Museum of London came up with the idea for its “FatCam” after it started displaying a small section of the infamous “Whitechapel fatberg” for visitors earlier this year. The small block of pure filth turned out to be a surprise hit with visitors, prompting curators to start a livestream of the toxic waste so people around the world could watch it mutate. Oh, the joys of an internet connection. If the “fatberg” is something that’s yet to cross your radar, well, it pretty much does what it says on the tin. And then some. Building up in city sewage pipes over many years, fatbergs are made up of things that people really shouldn’t be flushing down the toilet or chucking down the sink — stuff like congealed cooking oil, diapers, and wet wipes. Closer inspection — if you dare to entertain such an idea — is likely to uncover additional items such as condoms, cotton buds, human waste and, just to top it all off, a cornucopia of infectious bacteria. 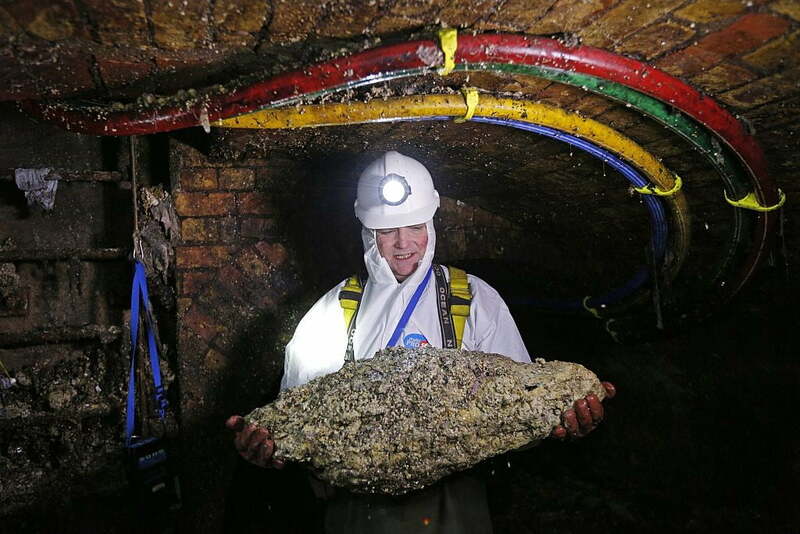 London is no stranger to fatbergs, with the gargantuan Whitechapel colossus bringing the problem to international attention when it was discovered in 2017. Around 250 meters long and weighing an estimated 130 tons, the growing obstruction was discovered just as it threatened to push raw sewage onto the city’s streets. It took almost a month to break up the mass of congealed garbage, with the Museum of London grabbing a small section of it for display — presumably as a nod to the city’s ongoing battle with the putrid, revolting mess. Now, you might think that a solidified specimen of filth and muck wouldn’t get up to much while sitting in a museum, preferring instead to idle away the hours as a solidified specimen of filth and muck. But you couldn’t be more wrong. On its website, the museum is imploring people to “check back occasionally to see how fatberg slowly develops while it’s in store,” adding that the noxious waste has already “hatched flies, sweated, and changed color.” Nice. So, sit back in your favorite armchair, grab a vomit bag, and hit the link to marvel at the unspeakably foul development of the Museum of London’s livestreamed gunk.